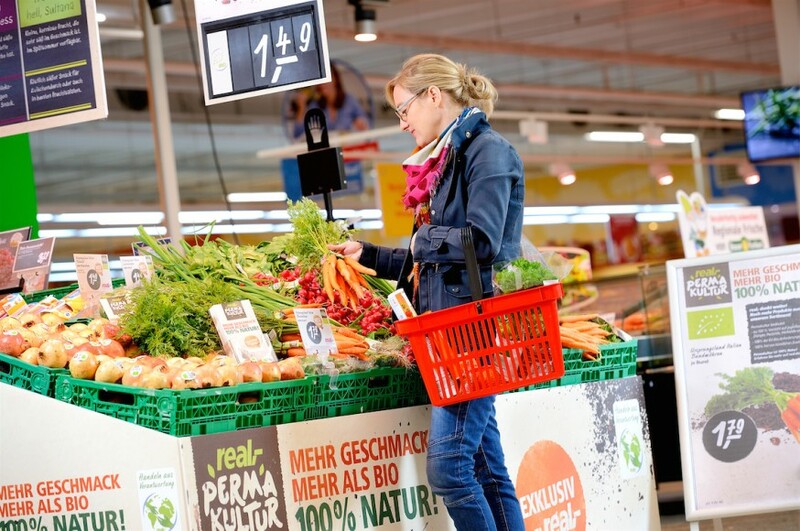 European hypermarket chain Real has revealed it is working exclusively with German supplier Lehmann Natur to develop a range of fresh fruit and vegetables sourced from so-called permacultural production in Germany, Italy and Spain. 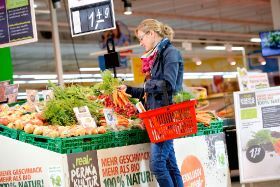 The Real Permakultur range, which is being marketed under the tagline ‘More taste, more than organic, 100 per cent nature!’, includes a large range of products presented mainly loose in more than 300 stores across Germany. Permaculture, a phrase coined in the late 1970s to describe agriculture that is in harmony with natural ecosystems, has come to represent agricultural and social systems that follow or copy those observed in the natural world – something arguably more sustainable than organic production. In Real’s case, its new branded range includes only products that have been grown without using man-made pesticides or fertilisers. Having started out at the end of 2014 with a trial range including pomegranates, kumquats, oranges and avocados, the retailer is now sourcing a much larger number of product lines as part of its permacultural offer. These include a large number of vegetables, such as spring onions, radishes, carrots, chicory, baby spinach, lettuce and exotic salad vegetables.